Hednesford Park has been awarded gold in the Royal Horticultural Society (RHS) Britain in Bloom Awards. The Community – Must demonstrate/indicate community involvement and support. This includes the fundraising and events programme linking to the sites development plans. The Maintenance and development – This includes the operational work of arboriculture, conservation, groundsmanship and horticulture on the site. The Environment – This covers the policy/procedures on litter, graffiti, condition of buildings and the use of the site and its objectives. 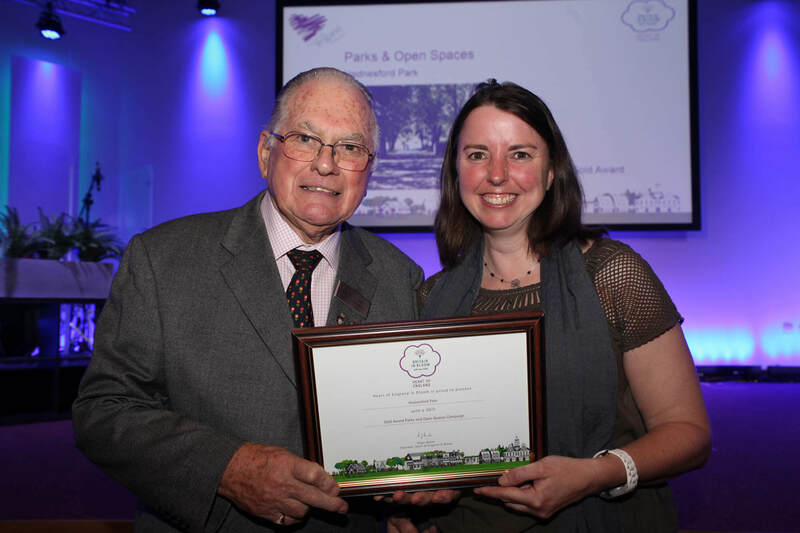 The award is presented by the Royal Horticultural Society (RHS) and this year Hednesford Park was presented with the gold award (the highest available). The judges were impressed with how both the park and the memorial had developed since the funding from the Heritage Lottery Project and that residents had been consulted on the designs.